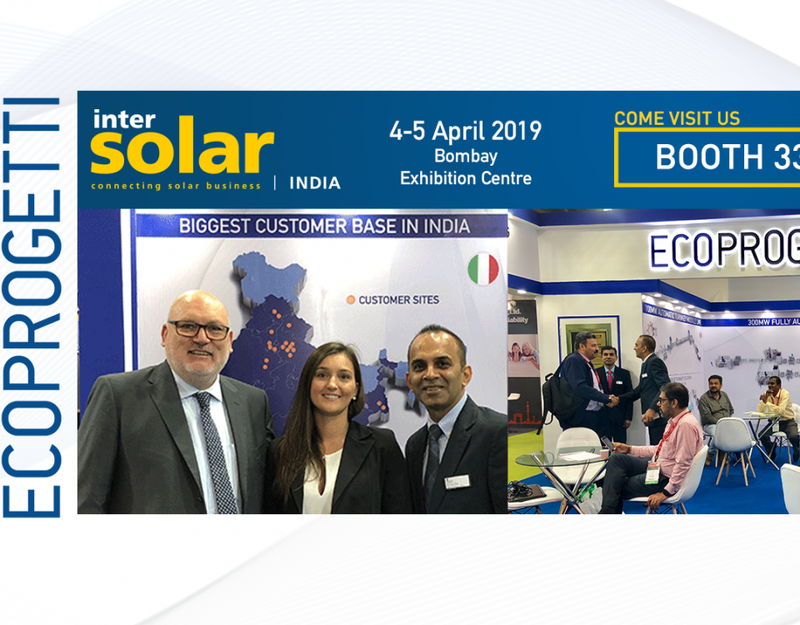 At the upcoming Intersolar Europe 2018, Ecoprogetti will be presenting the AWARD Finalist Ecosun Bifacial. 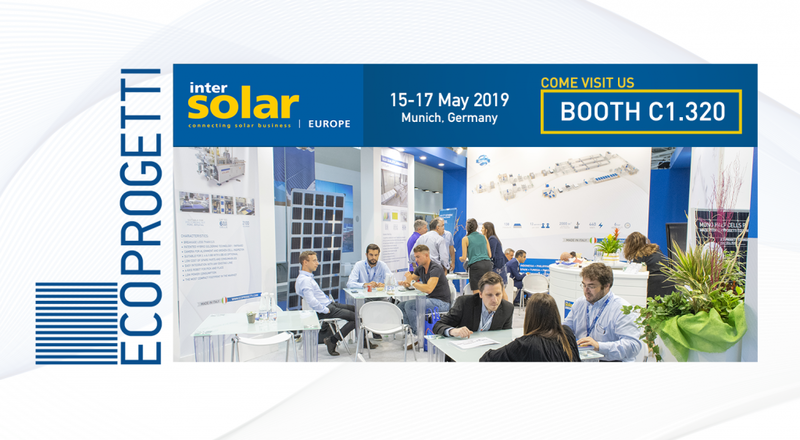 The new Ecosun Bifacial is an innovative machine developed by Ecoprogetti, that will present this LED sun simulator for Bifacial modules at the Intersolar Europe in Munich, at our booth A1.110. When the whole pv module production sector was using sun simulators with xenon lamps, Ecoprogetti was developing the 1st LED Sun Simulator that officially started the new generation of this testing machine. 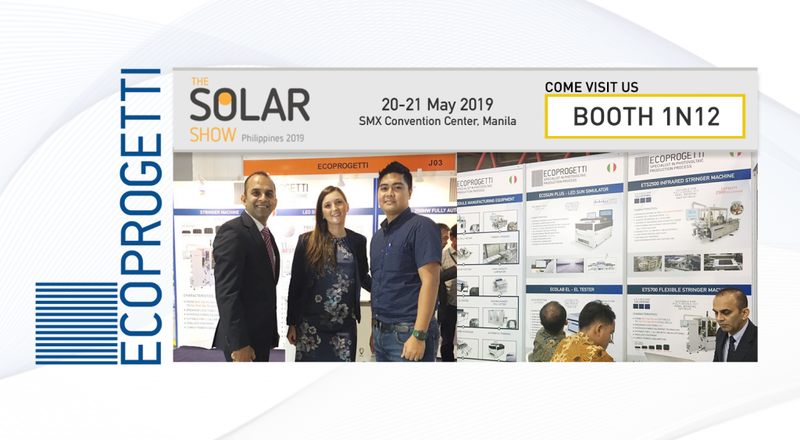 Now, Ecoprogetti is once again developing a new and revolutionary LED sun simulator that with its simple and flexible technology can automatically test bifacial modules for different conditions of installation. This testing machine is named Ecosun Bifacial and it can test bifacial devices in just one step, without the need for moving the panel nor repeating the operation for the rear side of the panel. It works with two led units. One unit is placed on top of the module facing the sunny side (1000 W/m2) and the second unit is positioned to illuminate the rear side (100-300-1000 W/m2). When installing a bifacial panel a crucial aspect is the reflective surface behind it. The light emitted by the reflecting surface may indeed change the spectrum, if it is colored for example or if there is a blue wall the spectrum will be different from a white wall thus to correctly simulate the reflectance behavior on the module it is also possible to set the simulator and every single LED unit with a light more similar to the reflected light’s spectrum. 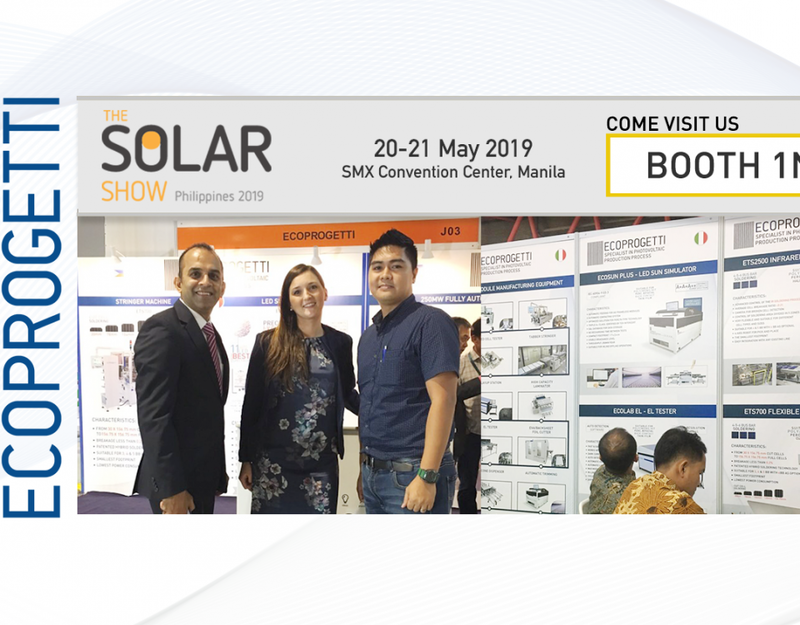 The solar market is expanding its horizons, incorporating new technologies like Bifacial modules in the everyday market distribution, but what the industry and customers are lacking are not the manufacturing solutions, equipment or components, but rather the regulations, characterization processes and scientific models. Reliable measurements and simulations are essential for gaining the trust of investors in this bifacial technology. 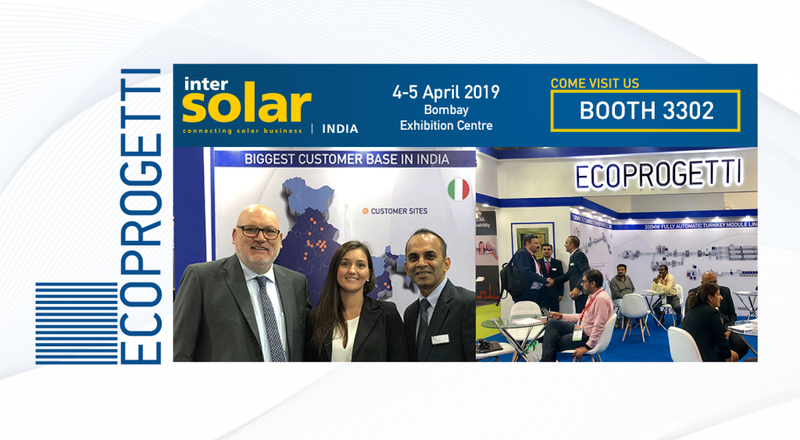 This is why Ecoprogetti has created a revolutionary and flexible testing machine that can position itself inside a production line, or as stand alone solution to test bifacial modules keeping in consideration the final conditions of installation. 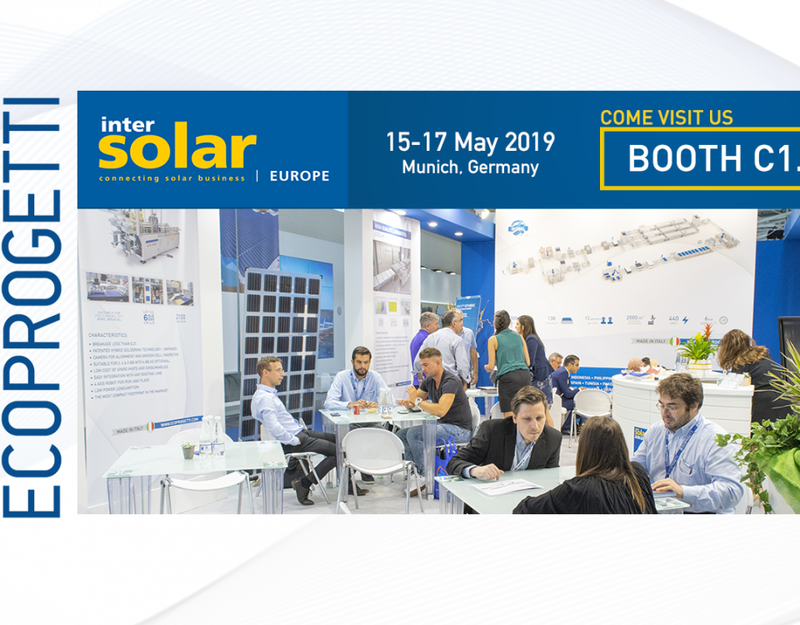 Book your meeting with Ecoprogetti at the Intersolar Europe, Hall A1.110. Contact us.